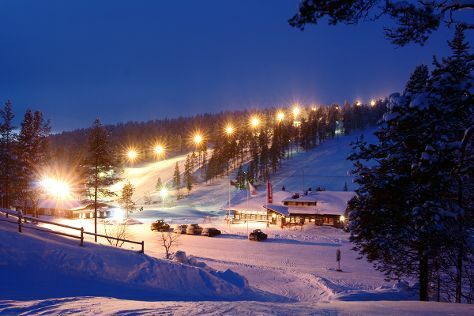 You'll explore the less-touristy side of things at Saariselka Ski & Sport Resort and Urho Kekkonen National Park. Get outdoors at Reindeer Farm Petri Mattus and Lemmenjoki National Park. 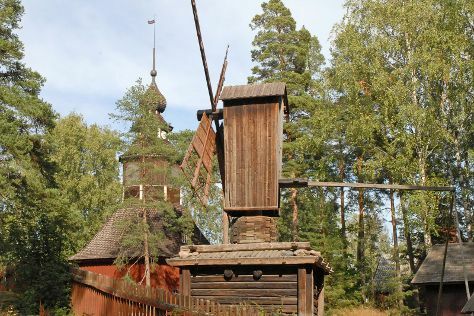 Explore the numerous day-trip ideas around Saariselka: Inari (Inari Reindeerfarm, Pielpajarvi Wilderness Church, & more). Before you visit Saariselka, use our trip planner to discover what you can do and see there. Pune, India to Saariselka is an approximately 25-hour flight. The time zone difference moving from India Standard Time to Eastern European Time is minus 3 hours. May in Saariselka sees daily highs of 11°C and lows of 1°C at night. Wrap up your sightseeing on the 6th (Mon) to allow time to travel to Helsinki. Deepen your sense of the past at sights like Seurasaari Island and Open-Air Museum and Castle Hill. Step out of the city life by going to Bellevue Beach and Hiidenvuori. Venture out of the city with trips to Sipoonkorven Kansallispuisto (in Vantaa), Arboretum Mustila (in Elimaki) and Niivermaki Nature Conservation Area (in Kouvola). The adventure continues: explore the world behind art at Kansallisgalleria, take an in-depth tour of Hvittrask, browse the exhibits of Mannerheim Museum, and contemplate the long history of Urho Kekkonen Museum Tamminiemi. To find other places to visit, where to stay, more things to do, and more tourist information, use the Helsinki road trip tool . Do a combination of bus and flight from Saariselka to Helsinki in 4.5 hours. Alternatively, you can do a combination of bus and train; or drive. Plan for a bit warmer temperatures traveling from Saariselka in May, with highs in Helsinki at 18°C and lows at 7°C. Wrap up your sightseeing on the 11th (Sat) early enough to travel back home.